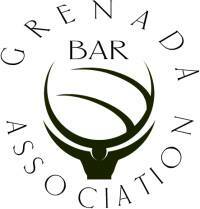 In 1991, the Parliament of Grenada passed an Act called the Status of Children Act, by which it sought to remove the disabilities related to children born out of wedlock (as well as children who are legally adopted). Essentially, what this means is that those children should not be disadvantaged compared to children born in wedlock as it relates rights and privileges. However, the aim of the Status of Children Act is not automatically conferred simply because the law was passed. The Parliament prescribed that a declaration of paternity must be made in order for the disabilities to be removed. The declaration can be one made either by the “putative” father, that is, the person who claims to be the father, or by the High Court, upon an application by someone with sufficient interest, for example, the mother, the putative father, or the child himself/herself. Although the Status of Children Act does not say so, in practice, a man claiming to be the father cannot make the declaration and take it to the Births Registrar’s Office to ask for his name to be inserted as father on his own. He must have the mother’s consent to do so. Until a declaration is made in accordance with the Status of Children Act, as set out above, the only legal position of a putative father is his obligation to pay maintenance pursuant to the Maintenance Act, if so ordered by a Court. Even then, the Court must first make a declaration of paternity, but a declaration of paternity made under the Maintenance Act does not have the effect of creating any rights for the father, only the obligation to maintain the child. Before the declaration is made under the Status of Children Act, a putative father has no rights to a child. This is because at common law, the mother of the child born out of wedlock has the primary right to the child. Any privileges she may accord to a putative father may be withdrawn at any time. A father of a child born out of wedlock, without the mother’s agreement, and without an order under the Status of Children Act, can only secure access, visitation and custody rights by going to the High Court and asking the Court to use its inherent jurisdiction to decide whether it is in the best interest of the child that he be granted such rights.